Join Daniel as he takes questions from callers to answers some of our biggest questions about Life, Love and the Universe. Discover the many Truths that will set you free, as Daniel unveils the lies of the mind that hold us back, sabotaging our finances, health and well-being. 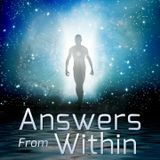 This podcast is the ultimate in Personal and Spiritual Development, taking you way beyond the Mind, and into the True You. From a young age Daniel realized he was a sensitive child, but never in a million years would ... See More he have dreamed that being so sensitive was actually an incredible gift. A gift that would one day save his life, and many others. It is this sensitivity that now allows Daniel to access the Answers From Within - answering the unanswered, knowing the unknown, and helping heal the unhealable! 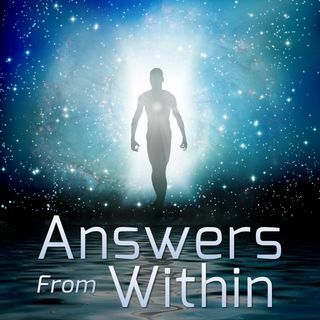 Hosted By Daniel Rechnitzer, Author "The ALL KNOWING Diary" plus "MIND LIES - And The Truths That Will Set You Free" and co-founder of Universal Intelligence. To book in with Daniel to get your biggest questions answered: visit DanielAnswers.com. Episode 42 - Do You NEED To Be LIKED? Episode 36 - Do You Suffer From Anxiety? Episode 35 - How Can I Love Myself? Episode 34 -Why Am I So Ambitious?